Our growing season in Alberta is so short. I savour the time we have in the summer to enjoy Mother Nature's magnificent bounty. My tiny backyard garden produces herbs galore, including basil, cilantro, oregano, thyme, dill, parsley, rosemary, sage, chives, and tarragon. Fresh herbs make such a huge difference in cooking. I love being able to just open the back door, pop into the garden and pick what I need. Quite often I'm not actually able to keep up to the herb production. Friends and family often get 'herb bouquets' as a hosting gift. At the end of the season I'll dry trays and trays of herbs for use in the winter months. This summer, however, I wanted to add some more diversity to their use. 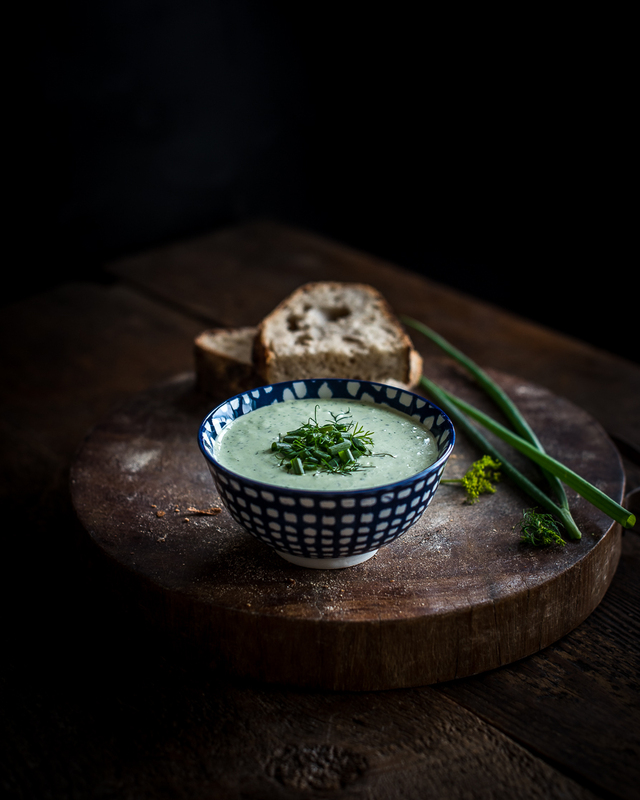 This dip was inspired from my desire to use more of what herbs I am able to grow. I love its versatility too. It's great as a bread dip, drizzled over new potatoes and on salads, or even just a simple accompaniment to a vegetable platter. Place all the ingredients in a small food processor and blend until all the herbs are well incorporated. Let rest in the fridge 30 minutes before serving.